Magnificent scenery also awaits you on this Germany vacation. Enjoy a Rhine cruise along the Rhine River’s most scenic section, with castle-crested hills, terraced vineyards, and pretty wine towns. 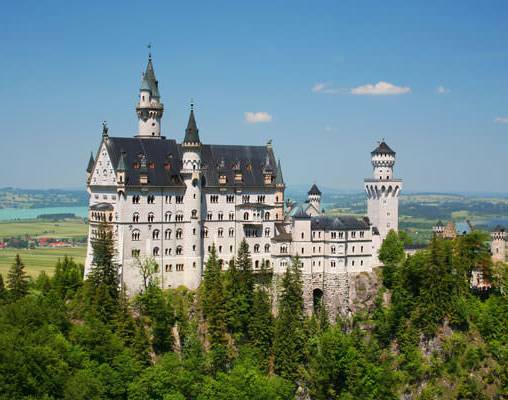 Visit King Ludwig II's Neuschwanstein Castle, nestled high in the Alps. 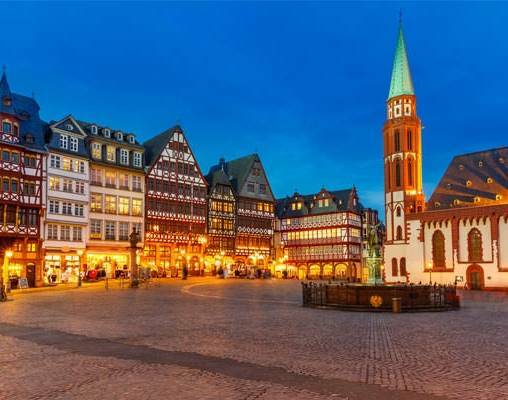 Drive on the panoramic German Alpine Road to beautiful Lake Constance, Europe's largest freshwater reservoir, and to the charming island of Lindau. Stop in Rothenburg, a walled town that has retained its medieval character, and enjoy Germany's lush Black Forest region, where you’ll learn about woodcarving and enjoy coffee and Black Forest Cake. A tour to Germany would not be complete without sampling the local cuisine and beer. That's why a beer at a famous brewery in Cologne is included, founded over 100 years ago. Bratwurst has been a tradition in Nuremberg for many centuries, and dinner at a local Nuremberg restaurant to taste the traditional Nürnberger Bratwürste is included. 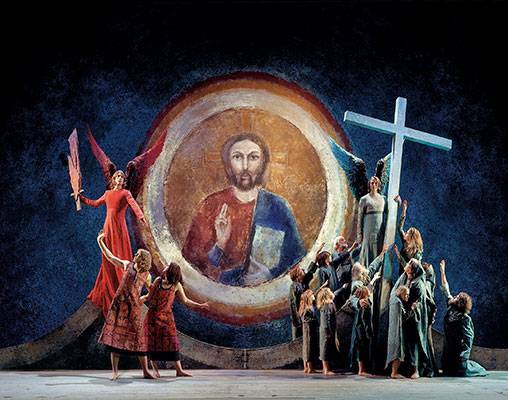 But that’s not all… first-class seats to the Passion Play in Oberammergau are included. Performed every 10 years and set with the majestic alpine scenery as a backdrop, it’s a magnificent experience. 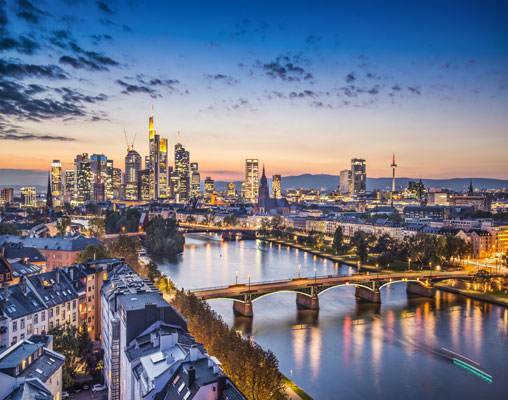 Embark on your international flight to Frankfurt from your U.S. gateway. (International flight not included in tour price). A 165-room modern hotel located in the Niederrad business district of Frankfurt with Free Wifi internet access throughout the property. There is a contemporary bistro-style restaurant and a modern bar serving International wines and cocktails as well as apple cider, a specialty of the Hesse region. A 305-room hotel in the heart of Cologne offering Free Wifi internet access throughout. There is a bright and airy breakfast restaurant and a bistro bar with an outdoor summer terrace for drinks and snacks. Right in the heart of the capital city, located at its trendy cultural district of "Berlin-Mitte," welcomes you the design hotel ARCOTEL John F Berlin - an ideal starting point for city and business trips. 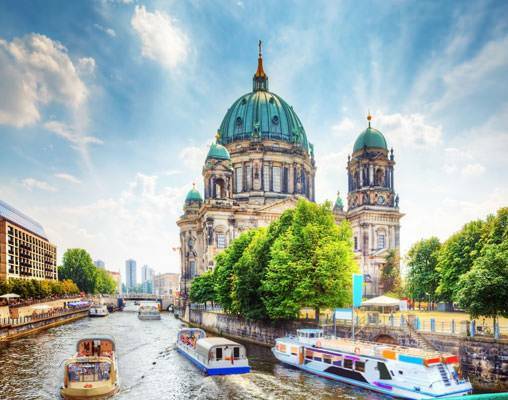 The 4-star-superior-hotel is centrally located between the famous Museumsinsel and Gendarmenmarkt, directly at the "Quartier am Auswärtigen Amt," with walking distance to the famous Friedrichstrasse and the "Unter den Linden" boulevard. Located in the heart of Nuremberg, this 244-room property has a striking modern design and offers a Free Wi-Fi connection throughout. The restaurant serves regional and Mediterranean food with a summer terrace for al fresco drinks and dining; other amenities include a contemporary bar and Gym with sauna and steam room. Enter your details below if you would like to be notified when 2021 dates and prices are available for German Highlights with Oberammergau.